Dedicated to keeping Singapore safe and secure, the Ministry of Home Affairs works tirelessly to protect us from any threats that may arise. Two officers from the organisation give us an insight into their roles in maintaining peace in our nation. 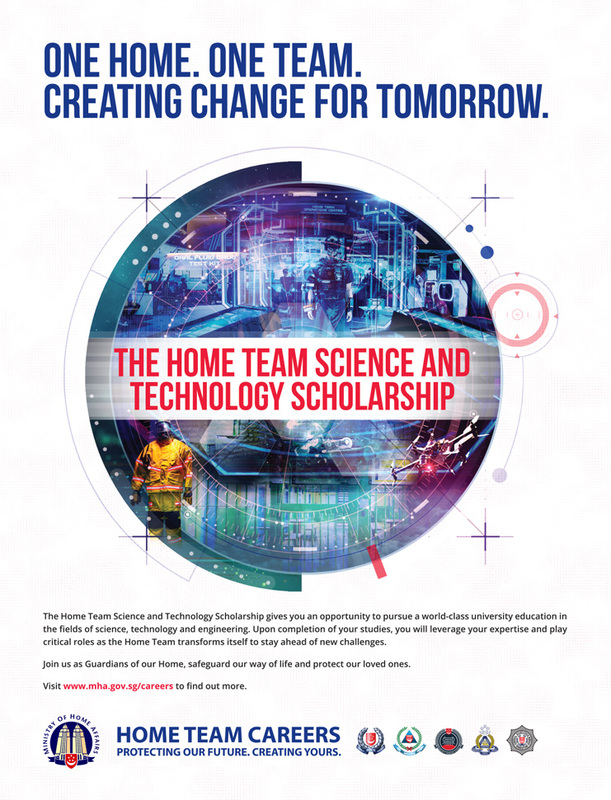 We explore the details of their roles, how the stellar capabilities at the Home Team advance their work, as well as the Home Team Scholarship that prepared them before they joined the team. 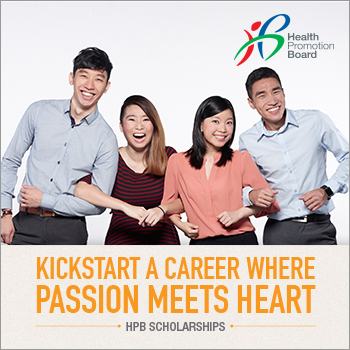 What influenced your decision in building a career and future with MHA, Dr Peter? 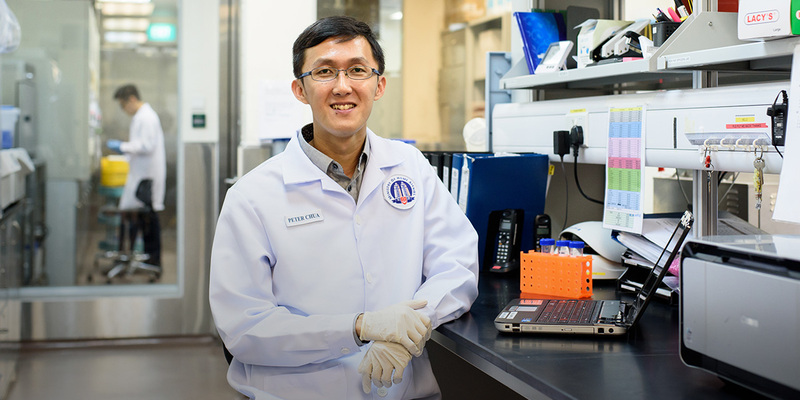 Dr Peter: MHA’s vision, “To make Singapore our Safe and Secure Best Home”, is in line with my belief that Science can be utilised for the good of Singapore. I decided to build my career in MHA as the organisation allows me to apply my scientific knowledge widely not only in research, but also in real life scenarios where I can help to develop solutions for the security of my country. For yourself Pei Ying, what were the types of benefits and opportunities the Home Team Scholarship afforded you with? 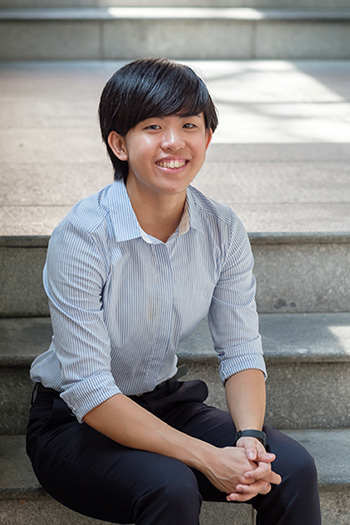 Pei Ying: Firstly, a Home Team Scholarship supports your personal development, as it gives you resources to embark on learning opportunities, such as overseas exchange during your studies. Secondly, it gives you a head start in your career development as you receive greater exposure to the organisation’s work throughout your studies, which will enable you to better prepare yourself to develop the necessary skills you would need. 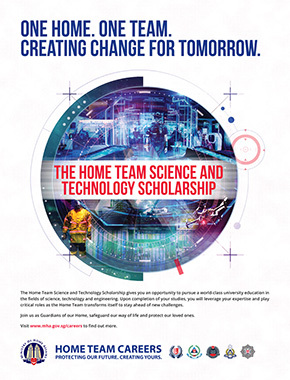 Finally, the Home Team Scholarship is a platform for you to form strong networks and friendships with your counterparts in other Home Team agencies. This gives you a broader and deeper understanding of how other Home Team agencies operate as part of the holistic organisation. It will prove to be crucial to your work in the future as no Home Team agency operates in silos. It is a hot topic that security is more critical than ever in today’s climate. How does your agency tackle current issues while being forward thinking and preparing for the future? Dr Peter: Although Singapore has yet to experience any terrorist attacks, we are constantly mindful that the situation can change anytime. As Minister Shanmugam had rightly pointed out in his speech at a community event in 2016, it is a matter of “when” and not “if” a terror attack hits. MHA has been developing a network of scientific laboratories at the borders. 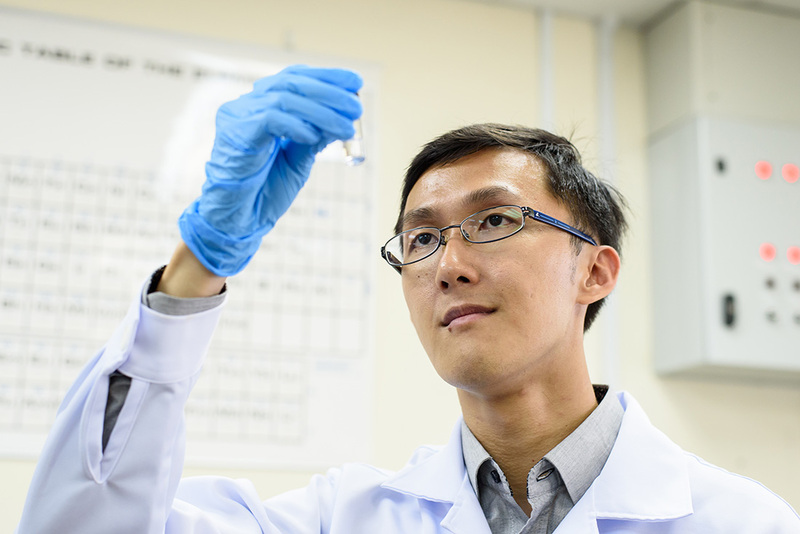 These facilities allow us to bring the capability to detect and analyse CBRNE (chemical, biological, radiological, nuclear, and explosives) materials to our frontline operations – enhancing border security to ensure that any attempts to smuggle such materials into Singapore for malicious activities would be effectively detected. Moving into the future, OCSTO intends to continually enhance the capabilities of our Home Team Departments. There are on-going collaborations with technology companies, institutes of higher learning, and our overseas counterparts to create better devices for detection of sensitive materials at the frontline. This is especially important as our border is our first line of defence against entry of illicit materials into Singapore. Pei Ying: CNB constantly strives to review how it can leverage on technology to streamline and improve current operations for greater effectiveness and efficiency. CNB works with many partners to develop and implement technologies, such as data analytics, to support ground operations and training. These objectives sound challenging yet exciting. What else can you say about your career with MHA? Dr Peter: My role in MHA has provided me with numerous opportunities to develop and improve on my technical knowledge. I was given the chance to attend conferences, such as one organised by the Society of Forensic Toxicologists, which is highly relevant to my work and allowed me to have technical exchanges with likeminded scientists. Conferences like these provide me with insights into the global prevalence of new psychoactive substance (NPS) and also exposure to other countries’ analytical methods to detect and identify NPS. Pei Ying: In the first few years, officers undergo a structured rotation through key frontline and operational roles for exposure to the essential operations in CNB’s work. You will be given sufficient opportunities to develop the skills you need in drug enforcement and investigation. At the same time, you will be exposed to other crucial areas of CNB’s work in preventive drug education, international advocacy, and policy-related matters. Subsequently, depending on your performance and interest, you may be placed on different tracks in specialised roles, middle management positions, or staff and policy work. Finally, what would be the advice you would like to give to those considering joining MHA? Dr Peter: It is a “calling”. As a Home Team officer, you are bestowed with heavy responsibilities as the safety and security of citizens rely on you. If you think that an MHA scientist only works in the laboratory, you would be completely wrong. You need to “get your hands dirty” and must enjoy working both indoors and outdoors. Be prepared to think out of the box, be committed, and persevere in what you do. If you have what it takes, then this is the job for you. Pei Ying: You must have the vision of protecting the safety and security of Singapore foremostly. The sense of purpose in your work is what will drive you to overcome the challenges in a law enforcement career. Another important quality is open-mindedness. A career in the Home Team, and especially in CNB, is multi-faceted. It is important to be willing to be challenged in many aspects. Finally, physical and mental ruggedness are important as operational and investigative work can be demanding on both body and mind. Having said that, it is deeply fulfilling to know that through my work, I can protect families and children, which is what keeps me going everyday.